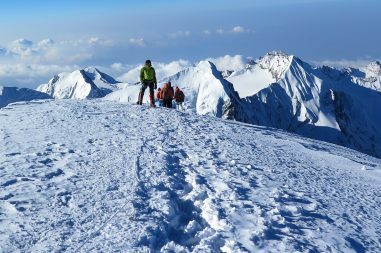 Yala Peak Climbing (5500m), a climbing peak is a part of Langtang Region located at the central part of Nepal particularly at northern part of Kathmandu. Yala peak climbing is easy, and suitable for anyone without trekking experience, proper physical fitness is sufficient for the trek. This peak is very close to Tibetan border. The mountain is located at the border between Nepal and Tibet. The summit declares fantastic views of several snow covered mountains in Nepal and Tibet like Lantang Lirung, DorjeLakpa, Ganesh Himal, Naya Kanga, Gangchempo and the famous 8000m peak Shishapangma. To reach in Yala Peak, we will leave Kathmandu and drive to Dhunche or SyabruBensi. Then trek up the valley. After summiting Yala Peak Climbing, we either return directly to Dhunche or continue trekking to Helambu via the Gosainkunda pass. Another possibility is to cross the Langtang Ganja La pass. As similar to this LANGTANG GOSAINKUNDA HELAMBHU TREK is also one of the best adventurous, famous lake and trek in Nepal. 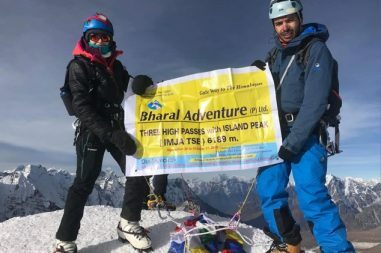 Bharal Adventure offers you a full board package including the climbing permit from the NMA and all other necessary policies – from arrival in Kathmandu up to your departure. We organize your accommodation in Kathmandu as well as throughout your trek. Healthy, fresh, energetic and nutritious meals will be provided throughout the climbing period. Experienced and professional trekking and climbing guides will accompany you on the trek as well as the climb. In addition, we can organize any sightseeing in and around Kathmandu. The package can be flexibly adjusted to your requirements . Please do not hesitate to ask any help or any questions regarding the trek. Feel free to contact us any time you like for suggestions and advice. We will always be there giving you the best possible services. We’d be grateful and honored to take you in the particular adventure which would be in the list of one of the best memories in our life. Day 09: Early in the morning climb to the Yala peak and back to KyanjinGompa. Arrival at Kathmandu airport and transfer to Hotel and after short refreshment we will explain about the programs and the relaxing days. After Breakfast full Day Sightseeing in Kathmandu valley to Pasupatinath Temple (Hindu’s temple) Boudhanath Stupa (one of largest Buddhist stupa in world) and Soyambhunath Stupa. After breakfast trek proceed to Syabrubensi via Trisuli River. You will drive along the way glimpse of viewing with Lantang range, Manaslu range, Ganesh Himal range and Annapurna range with beautiful rice field and landscape, passing through some of landslide. Day 4 is first day trekking and begins after the breakfast through flowing along the way rive of Langtang. All the way walk through the forest and beautiful sound of Langtang River with amazing view of wild honeybees on the huge rock on the way to see. Trek from Lama Hotel begins through a forest, oaks and rhododendron observing glimpses of to see the LangtangLirung on the way via Gumanchok to climbs to GhoraTabela 2970m, The trail further climbs to Langtang via passing through National park permit check point, which is the head quarter for Langtang National Park. From Langtang Village the trail climbs gradually through passing one of the longest Mani wall in Nepal and small villages of Mundu, viewing of beautiful Langshisha peak, kangchenpo, Nayakang, LangtangLirirung, one of the biggest Glacier and TsergoRi peak. Day 7 you will climb to the some peak depends on your condition, which peak should be climbed and perhaps you could visit small lake and langtang glacier or lake. There can be possibilities to visit along the way flowing small river to the Langshisha glacier. Day 8 you will trek to Yala peak base camp through the way to TsergoRi, passing along the way of through some yak pasture. Day 9 , early in the morning climb proceed to yala peak and on the summit awesome view of Mt. 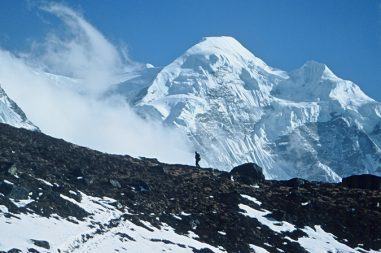 Shisapanagma, Ghangchenpo, LangtangRi ,Nayakang and many other peak around the Tibet boarder. Day 10, Trek all the way returns back by same way to the Lama Hotel via langtang village. From Lama Hotel the trail descends through Bamboo Lodge and reaches PairathaploLodgand take lunch there. After Lunch, walk about half an hour further down to Dovan and flowing all the way down through Langtang River to reach at SyabruBensi. From Lama Hotel the trails descends through Bamboo Lodge and reaches Pairathaplo Lodge and take lunch there. After Lunch, walk about half an hour further down to Dovan and flowing all the way down through Langtang River to reach at SyabruBensi. As day 13 is leisure day; we will Visit Kathmandu Durbar Square and leisure day in Kathmandu, talk about the trek by sharing ideas and views. Day 14, the trek comes to an end, departure to Kathmandu airport and fly back to home. This list is a guideline to help you pack for trekking and peak climbing. Also, please understand that the items listed below will vary a little according to the season and the trek duration. Those items marked by an asterisk (*) are provided by Himalayan Glacier inclusive in the service. Remember that your luggage will be carried by your porter, but you are required to carry a daypack (with your valuables or anything important) on your own. We also suggest that you pack only what is necessary. Stomach antibiotic: Ciprofloxacin, etc. Note: Do not bring sleeping pills as they are a respiratory depressant! 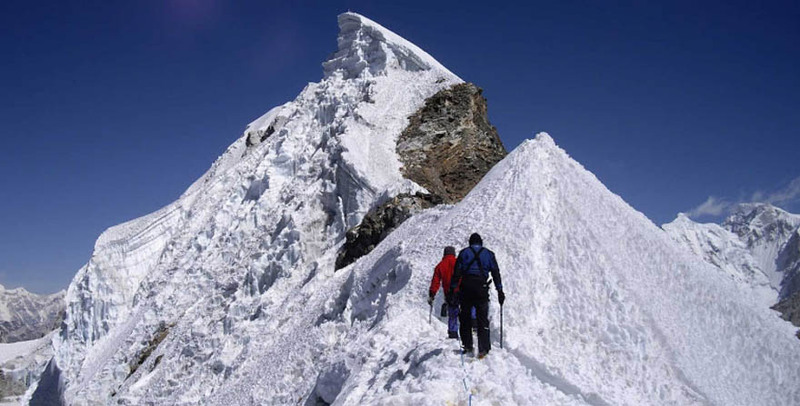 About Island Peak Climbing Island Peak Climbing-14 days package is a wonderful gateway to Himalayan climbing that satisfies every aspirant and serious climbers.